Dr. DEAH SCHWARTZ has extensive experience using Therapeutic Arts, Music, Drama and Recreation Activities in a variety of clinical and educational settings with clients ranging in age from 5 to 80+. She has a Doctorate in Education, an MS in Therapeutic Recreation, an MA in Creative Arts Education, and a BA in Theater. Dr. Schwartz studied Art Therapy at the College of Notre Dame for two years and is a contributing blogger for the Art Therapy website. 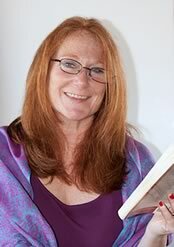 Deah was a professor at San Francisco State University for 10 years, preparing students for careers in Recreation and Expressive Arts Therapy. Having studied theater at the Neighborhood Playhouse in New York City and as a member of Actors’ Equity, Deah has a unique combination of experience as a performer, teacher and clinician. This background, coupled with her fervent belief in size acceptance, has led to her co-authoring the “LEFTOVERS Workbook/DVD set.” Click here to see the trailer. In addition to being a co-author and original cast member of “LEFTOVERS: THE UPS AND DOWNS OF A COMPULSIVE EATER," her training in Art Therapy is apparent in her latest book, Dr. Deah's Calmanac, an interactive monthly guide for cultivating a positive body image. You can read more of Dr. Deah's musings in her syndicated blog, Tasty Morsels, that she hopes will provide assistance in defining one’s own standard of beauty and finding ways to make peace with one's body.